For those that do the alphabet game (go to a new restaurant every week that starts with a new letter A- Aji sai B - Bacchus etc) here is an alternative to Quiznos. 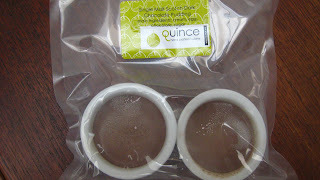 Quince has vacuum pack dinners and treats for you to take home and eat, today I tried one of their desserts. I present to you the single malt scotch dark chocolate pudding. The texture is like no other, smooth like frosted malt and soo yummy. I am not a fan of desserts with alcohol in it but this one is decadent. The use of neon colours will soon attract the hipsters, try it before they do and be the first to match your American Apparel jeans with your food packaging. Thats hot!!!!! 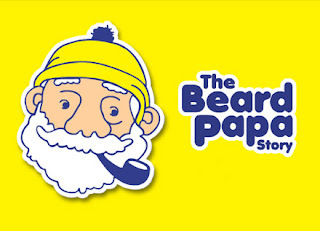 I Love It When You Call Me "Beard Papa". Straight out of Japan comes Beard Papa. I have been here before but it was when I stopped blogging (I miss those days cause I didn't have to carry my camera and my camera feels real uncomfortable in my tight jeans). This is a tasty dessert, the cream is really good and smooth and just slightly chilled. The problem is I can't eat more than half, but I don't know why. Its not too rich or too sweet, I just can't eat a full one. 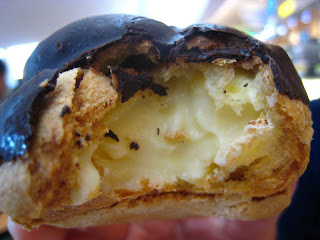 They claim to be only 250 calories per cream puff which isn't that bad for a whip cream dessert. But beware guys, if you eat too many of them, that American Apparel neon green scoop neck that goes down to your belly isn't going to look that good on you. Remember horizontal stripes can make you look fat. There is one coming downtown on Denman. Take your fixey bike down there and burn 250 calories and then eat a cream puff. Then you come out equal. I have heard a few people rave about this place so I placed it on my list to check out. I find that there are not too many places in Vancouver that have great West Coast Food, and I wanted to see how Bin placed. 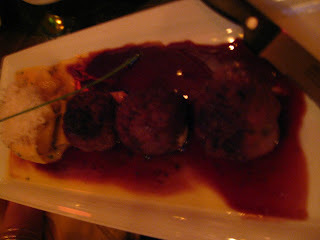 The price of the food was quite expensive, each small dish was about 16 dollars with sides around 4 -7 dollars. 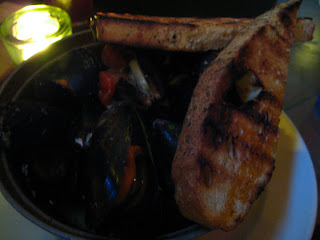 We ordered three dishes, Kobe Beef Meatballs, Spot Prawn Risotto and Mussels in garlic sauce and a side order of Navajo bread. 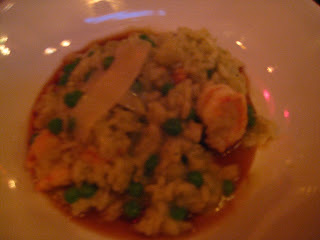 The food was fairly tasty but I thought it could of been better especially considering the price. The Mussels were good but the broth was very basic, the kobe meatballs pretty much just sucked, and the spot prawn risotto had four prawns in it, and the taste was ok, far from amazing. So what the hell. People rave about this spot and it has received numerous awards but this place did not get my pallet excited, not the least. In my opinion, Bin 942 is not worth it and it is not really worth a second chance from me. I know the hipsters don't go here because four dishes from Bin would equal a pair of Cheap Mondays or two tickets to watch Girl Talk hit the play button on his Mac but at least he takes of his shirt. Note : the border is open to Japanese Beef, but Kobe beef can be made in the USA. I am pretty sure that if this meat was kobe beef it is the American version. So I was lucky enough to go out to eat with a few friends. 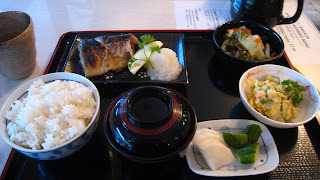 I arrived at Towa first and had a chance to sit down and look at the menu. What caught my eye was every roll was at least 12 dollars. I was pretty much like WTF is this, better be off the hook!! We shortly ordered once everyone arrived. On the table was the alaskan roll, black and white roll, and the rainbow roll, and I ordered a piece of Tamago for myslef. The rolls were huge and were quite tasty. The alaskan roll had philly cream cheese in it but way too much, it was like when you were a kid and you were allowed to put philly cream cheese on your toast, you always put way too much. 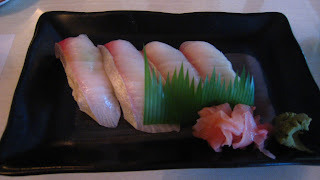 Towa had real tasty sushi, the price of the rolls was very high but the rolls were huge. The problem with this is that you don't get to try as many different rolls. So I am out visiting Calgary for work and I read about Shibuya Izakaya. Located far away from downtown beside a rub and tug and a bubble tea shop. The place was a little to hip for my liking but I think that would work in Calgary. 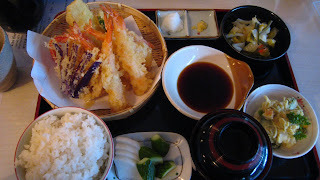 The menu had some familiar items on it such as Ebi Mayo, Yaki udon, korokke and lots more. Today, I ate the curry ramen for 10.95, it had pork cutlet in it. The broth was good, and having the cut up pork in the soup was a great addition. The noodles tasted like crap, I mean real bad. I couldn't understand it cause the noodles you get in the instant noodles are better, it tasted like a mouthful of wheat paste. I have already gone back and will post those pics when I can get them off my camera. Guu destroys this place but with some time I am sure Shibuya can get it together. Just copy the Guu steez guys. Yaki udon- I wasn't feeling the cream sauce or the abundace of fish eggs. 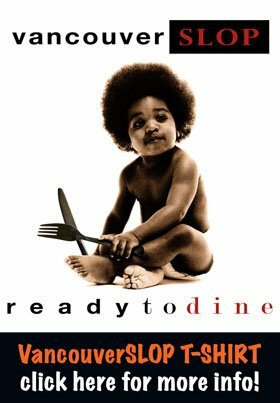 Please go to Guu and copy their receipe. Ebi Chilli Mayo - tasty but too much hot sauce, ask them to put it on the side.